In a book written in the mid-1980's, Jazz Historian Dr. Karl Koenig outlined the musical heritage of several towns around Lake Pontchartrain, including Madisonville. Here are some excerpts from his book, "Mother of All Jazz Waters: Lake Pontchartrain." Dr. Koenig began with an overview of the town and its beginnings. "The town of Madisonville, on the Tchefuncta River, is considered a Lake Resort. The Madisonville Hotel built at an earlier date reopened in 1841. In 1855 it was known as the City Hotel and as the Confederate House in 1861," he said. "The North Shore drew patrons from the surrounding area to the North and across the lake from New Orleans. Excursions for a 'sea voyage' across the lake were quite popular during the era. 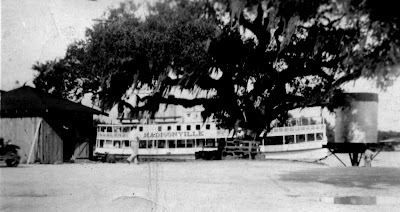 Several steamers regularly left the wharf at Milneburg paying 50 cents each way which included a fish breakfast with bands providing entertainment during the crossing. 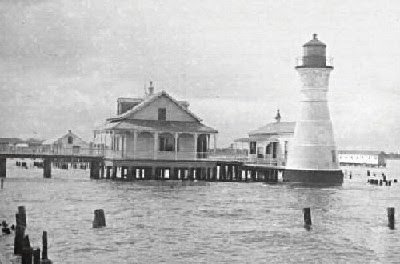 Although separated by 25 miles of water, resorts on both shores of Lake Pontchartrain were considered as a unit, often cooperating on joint ventures." Dr. Koenig explained that newspaper articles about the Madisonville musical scene began with the organization of a brass band on June 18, 1892, and the activity surrounding the United Friends Benevolent Association (UFBA). For the most part, the Covington newspaper did not fully cover the Madisonville scene, except for a Madisonville column in the paper, written by a dedicated person encouraging citizens to take pride in their town and its activities. "Organizing one of the earliest brass bands on the North Shore shows this pride, and also the need in late Nineteenth century America for live music," Dr. Koenig stated. For its dances and entertainments, the town at first imported bands from New Orleans, as explained in this June 18, 1892, article: "UFBA of Madisonville grand ball, June 25th. The music will be furnished by a band from the city." Then again, in the same issue, this item: "Grand entertainment at Madisonville, July 9th. A silver cornet band from the city will discourse sweet music." "From 1892 until 1895 the town brass band is very active, but nothing is mentioned about the band after 1925. During these years we read of a number of local activities among which the most significant is Prof. Portune's introduction to the area. Portune, the future leader of local bands, had come to the area when his string band played an entertainment at the UFBA Hall." According to a newspaper article on October 23, 1893, "Entertainment at Madisonville at UFBA Hall for St. Francis Xavier Church. A string band from New Orleans, under the leadership of Prof. Portune discoursed sweet music at intervals during the performance." Dr. Koenig then noted that in future years the west side of the Tchefuncta River would be the site of a beautiful park that was to become a very active, popular location for dances using the best bands from New Orleans. The park included a spacious dancing pavilion that was to become the site for many local gatherings and activities. A June 3, 1893, news item tells the story: "Madisonville Lodge of Knights of Pythians 3rd annual ball (was held) in Mr. J. Manaud's beautiful park, the spacious pavilion being decorated with evergreen and Chinese lanterns flocked to park and waited until the Houlnie Brass Band arrived, when all joined to dance the light fantastic to until the 'wee small hours - 3:00 AM." Once a band has played for a local dance, Dr. Koenig wrote, "it seems that band is rehired for a future dance. During this era hiring bands for dances required a person to go to the city, and through contacts, locate a band and engage it, giving a cash advance, and hoping the band would show up at the scheduled time and place. The need for a responsible band, plus the availability of financial reward would prompt local citizens to form their own bands." 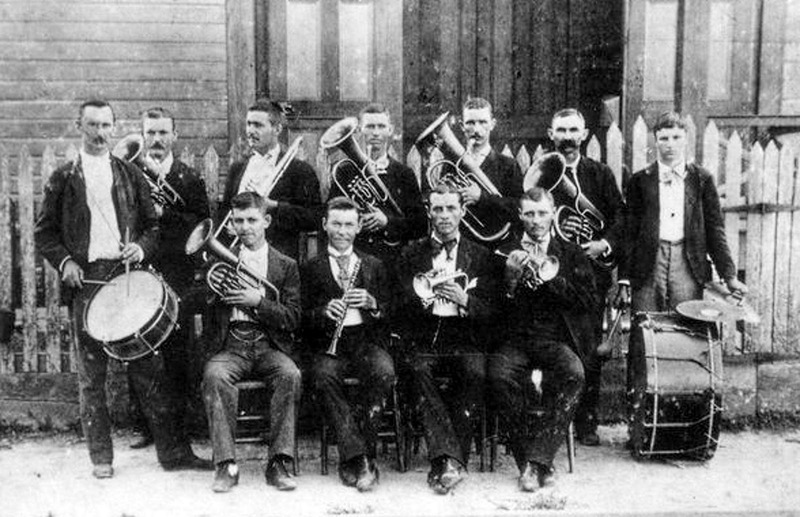 It was Prof. Portune's Band that once again again played for the church benefit in 1894: "Entertainment at UFBA Hall. Benefit of St. Francis Xavier Church. Not having a local band able to play for town affairs, the Riverside Social Club hires a band from New Orleans to play for its ball, Dr. Koenig quoted the news item of October 13, 1894, "Madisonville grand fancy dress ball by Riverside Social Club. Excellent band from the city was in attendance and discoursed sweet music." According to news accounts, the brass band is active in 1895 playing for a number of affairs, Dr. Koenig noted. "In 1896 we see the emergence of a local string band, at first called the Madisonville String Band, when they play for the first time at the newly opened Central Pavilion in Madisonville: Today the only thing that remains of the Central Pavilion is its name on the cement near the edge of the river on the West bank/right side of the bridge." In the Sept. 19, 1896, issue of the Farmer, the news announced a "Grand masquerade soiree for Madisonville - at J. W. Badeaux's Central Pavilion. Music was furnished by the Madisonville String Band. Central Pavilion is a new enterprise added to the town, and is getting quite popular - balls being given there all summer." Dr. Koenig reported that The Central Band is still functioning in 1899 when it played for a surprise party, as detailed in this February 4, 1899, newspaper account: "An enjoyable surprise party was given last Sunday night at residence of Capt. Frank Badeaux in Madisonville. About 22 couples were present; music was furnished by the Central String Band." The Central Pavilion and the UFBA Hall in Madisonville are the most popular places for holding entertainments and dances, and remain so for a number of years, Dr. Koenig stated. "A grand fancy ball is held at the UFBA Hall on Feb. 24th, and on Jan. 30, 1900, there is a "Masquerade Ball at Central Pavilion." There is a dance at the UFBA Hall with music provided by a "fine band from New Orleans" on Sept. 22, 1900. Koenig concludes that there is seldom mention in the newspaper when one of the local bands ceases its activity or disbands. 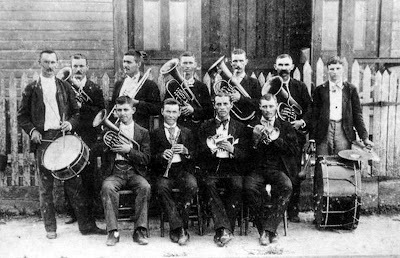 In 1902 the Covington Brass Band and String Band play for affairs in Madisonville, probably meaning that the local Madisonville bands are no longer organized. According to an August 23, 1902, article, "Boat excursion to Madisonville and Lake Sunday well attended. M. F. Jahncke tug Meta pulled big barge. Music furnished by the Covington Brass Band." Then again, "Grand Ball at Madisonville for school fund. Music by the Covington String Band." (item published Jan. 3, 1903). Dr. Koenig was able to provide a perspective on the musical heritage of the area that, as a noted jazz historian, no one else was qualified to provide. He said that the location of Madisonville, near the place where the Tchefuncta River flows into Lake Pontchartrain, made it an ideal location for lake traffic from New Orleans and many excursions choose Madisonville for picnics, dances, etc. 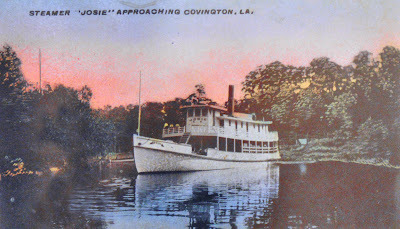 A number of lake steamers left from West End, stopped at Mandeville, then continued to Madisonville and finally up the river to Covington. In 1906 a new lake steamer, the 'Sarah' was put in service. 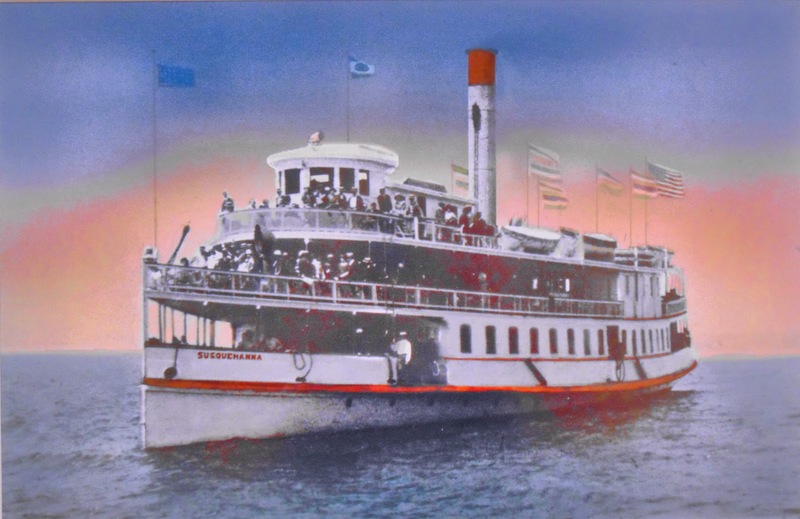 At one time there were as many as thirty steamers on the lake servicing the North Shore - based on both the South and North Shore. There were also excursion trains servicing the North Shore, although train service first went to Slidell, Abita Springs and Covington before reaching Madisonville. With those steamers, came bands from New Orleans. 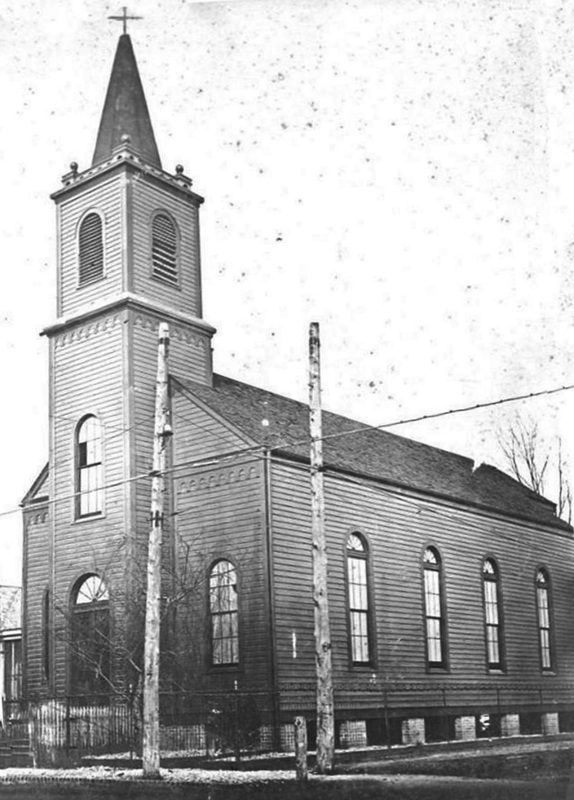 The UFBA Hall, in 1906, continued to hold dances and entertainments, many times the band that played was not identified in the story in the paper, he said. According to Dr. Koenig, Charles Deverges was known in the New Orleans area as an outstanding music teacher. Probably his best known pupil was Manuel Manetta to whom he taught violin, guitar and harmonica. Charles Deverges was said to have been "Of this place (Madisonville) but may have moved to New Orleans around 1915." "In 1919 the Port Hole Inn and its pavilion are mentioned for the first time," Dr. Koenig noted. "The Inn schedules two dances a week and two days for showing motion pictures. No names of bands are mentioned. There are also dances at Riverside Pavilion with music by a New Orleans Band, and a 4th of July celebration using 'a first class band from New Orleans'," according to a June 28, 1919, newspaper account. The Jahncke shipyard in Madisonville had a very active company social life, Dr. Koenig noted, and it brings the town alive with dances, picnics, and other gatherings. The famous 'Schilling Band' of New Orleans is engaged to play for the dance held the week of Sept. 27, 1919: "Last dance of the big dances to be given this season was held at the Riverside Park, Saturday, Sept. 20th. Schilling's Band rendered music for the occasion." "Beginning in 1922, Madisonville is mentioned in the paper numerous times as the legendary Buddy Petit Band plays regular engagements in town," Dr. Koenig said. "Beginning on May 11th, the Petit Band begins its engagement at the Riverside Tea Room. The newspaper account of May 6, 1922, states that 'the Madisonville dance next Thursday night. Buddy Petit Jazz Orchestra has been chartered for the remainder of the 9:00 dances to be given on Thursday evening, May 11th, at the Riverside Tea Room, under the auspices of the Riverside Pleasure Club." Buddy Petit has a steady engagement in Madisonville and not only plays for dances but for boat rides and afternoon ball games, Dr. Koenig explained. 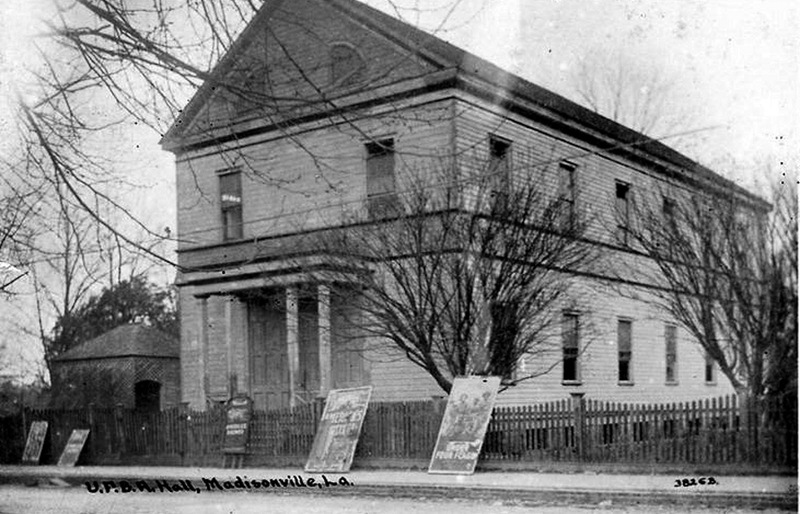 One article published on May 13, 1922, notes a "Madisonville dance at Riverside Tea Room. Buddy Petit's Orchestra will furnish the music, both in the afternoon and for the dance." The news article goes on to say that "in the afternoon a ball game and a boat ride was scheduled." Petit's Band was sometimes called the Black and Tan Band and other times it was called the Eagle Jazz Band. Dr. Koenig then notes that "a big affair is planned for the May 27th (1922) weekend aboard the steamer Josie: "There will be music aboard with swimming in Lake Pontchartrain, to be the chief attraction. A big dance will follow in the Riverside Pavilion at 8:30." Buddy Petit continued to be engaged at the Madisonville Pavilion each Saturday and Sunday and he often secured a steady job in the summer at one of the smaller towns surrounding New Orleans, according to jazz historian Dr. Koenig. "His band is working six to seven nights a week (at that time). During the rest of the week the band would have jobs in other towns on the North Shore such as Kentwood, Ponchatoula, Mandeville, Abita Springs and other cities." The entertainment continues into 1922. "Dancing in Madisonville each Saturday and Sunday at the large, airy and attractive pavilion is proving very popular," according to the newspaper of July 1, 1922, with music furnished by Buddy Petit. During 1922 there are other functions on the lake, using the town as an excursion point, Dr. Koenig stated. "Madisonville boat steamer Reverie of New Orleans to Madisonville. Dance at Riverside Pavilion with the famous New York Novelty Orchestra with Arthur Berlin at the piano, will furnish the very best of music," according to a June 24, 1922, newspaper article. 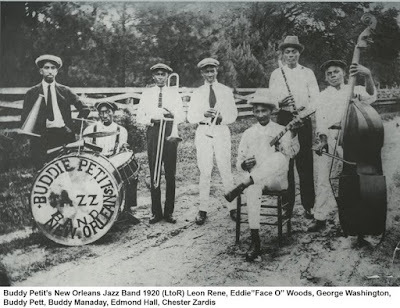 One such excursion group is the Rotary Club of New Orleans, which enjoys an outing in Madisonville and brings its own band: "For a script dance (tickets sold for entrance to the dance hall) at the Riverside Pavilion the 'Kid Albert Jazzers of New Orleans' are engaged "(Sept. 2, 1922). Excursions and dances continue at the Riverside Pavilion. 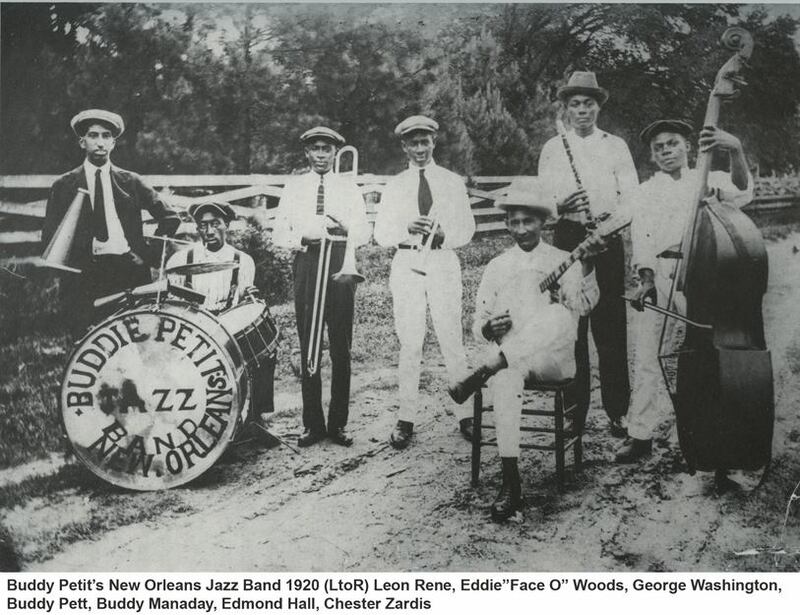 In 1925 we hear that a New Orleans Jazz Band furnishes music at the Lakeview Gardens in May of 1925). "When Huey Long was running for public office there was a Huey Long Political Club formed in Madisonville and the club gave a celebration - a barbecue and dance - at the Riverside Pavilion on Water Street. Music for the occasion was furnished by The Deluxe Harmony Orchestra, comprising nine pieces," Dr. Koenig wrote, quoting a newspaper report of Jan. 28, 1928. Dr. Koenig's final entry for Madisonville's musical heritage was published in the local newspaper on June 30, 1928. "This final entry was Toots Johnson's Orchestra of Baton Rouge (which might have included Buddy Petit who played in this orchestra from time to time). Johnson's Band furnished the music for the 4th of July celebration," Dr. Koenig concluded. 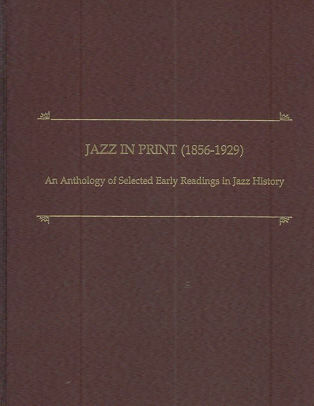 His many other books on jazz history are foundational to any study of jazz, especially his "Jazz in Print (1859-1929): An Anthology of Early Source Readings in Jazz History." His book on Northshore jazz heritage is available for reading online in a Adobe Acrobat PDF file which may be accessed by CLICKING ON THIS LINK.